View the time, seconds, month, week and day in different skins in the Windows system tray clock. 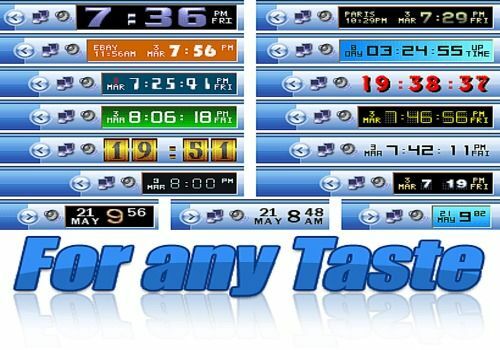 Clock Tray Skins is the advanced replacement for standard Windows tray clock. Over 50 skins are included in the distribution. It's also an atomic-time synchronizer.